WASHINGTON — Cecilia Malmström, European commissioner for trade, expressed confidence after meeting with U.S. officials here this week that the U.S. would not impose tariffs on auto imports from the European Union, as the sides agreed in July. She also announced that the European Commission would soon propose to member states a draft negotiating strategy for talks on a transatlantic trade agreement on industrial goods. 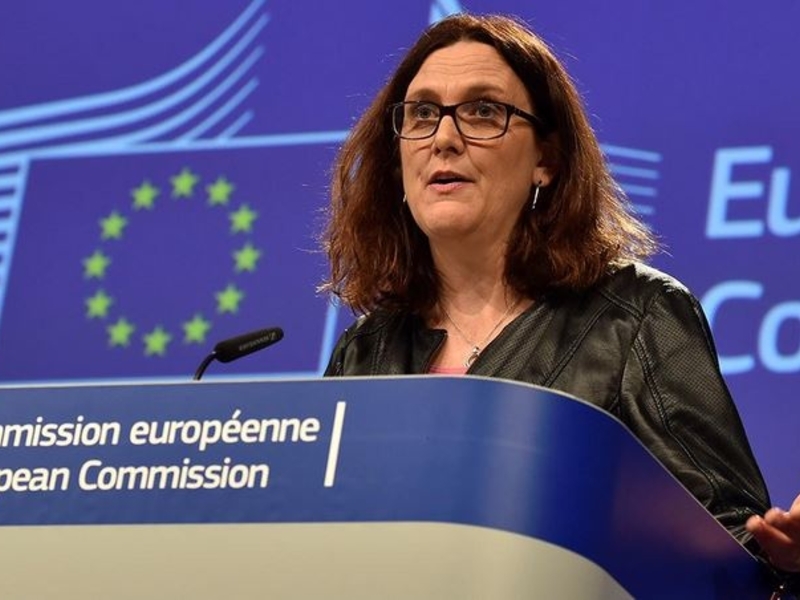 After meeting with U.S. Trade Representative Robert Lighthizer on Wednesday, Malmström told reporters that the topic of auto tariffs was not discussed because the recommendation on whether the U.S. auto industry needs tariff protection is a Commerce Department matter. “But we presume that the Americans will stick to the agreement that as long as we talk in the Executive Working Group there will be no additional tariffs,” she said. The U.S. and EU have been at loggerheads on setting an agenda for trade talks, leading to speculation that a frustrated President Donald Trump might move ahead on previous threats to impose tariffs of up to 25 percent on European auto imports. The U.S. agreed not to impose tariffs if the parties were actively engaged in talks to liberalize trade. The EU wants the talks to cover autos and bidding on government contracts, but not agriculture, with the U.S. taking the opposite position. The EU says it has delivered on several of last summer’s commitments to avert a trade war, including increasing its imports of U.S. soybeans by 112 percent and taking steps to increase its imports of U.S. liquefied natural gas. Malmström also met with Treasury Secretary Steve Mnuchin and trade committee leaders in Congress. In a speech at the Atlantic Council here, she said globalization has had some unintended consequences, but that inward-looking policies are not the solution because trade supports democracy, relationships and value chains.